After a massive disaster at Kerala, we’ve seen quite a lot of gargantuan football clubs come together to help relieve the stress of the state. The Merseyside club made sure that the Indian state doesn’t walk alone at the time of need as they posted on several platforms to support Kerala. Other prominent clubs like FC Barcelona, SD Eibar, FC Girona, Melbourne City FC and even the Spanish association La Liga, have all posted on social media to support for the victims in Kerala. 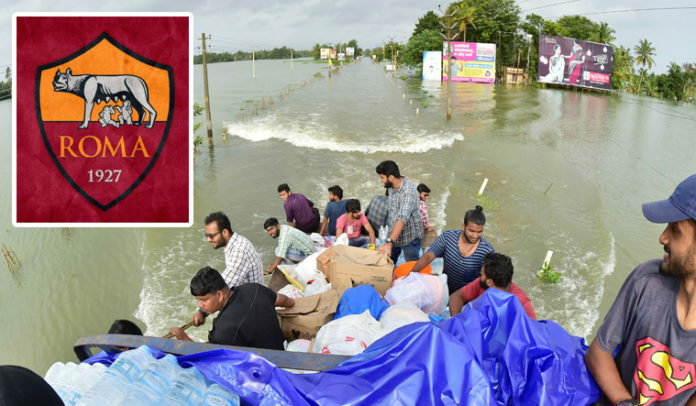 Today the Seria-A giants AS Roma declared that they shall auction five starting team player jerseys after they play their first home game of this season against Atlanta and donate the entire amount to Kerala Chief Minister’s relief fund. Willian to Barca while Malcom heads to Chelsea. Swap deal on? Are Arsenal only a step away from the PL’s best?